Corrupt State officials even use political pressure to avoid themselves being investigated into. They did say it with a veiled threat to President Sirisena at the very outset. The Bond Scam Report isn’t out in the public domain yet. It is supposed to be only in English too.The call for a parliamentary debate on it turned out a big farce. 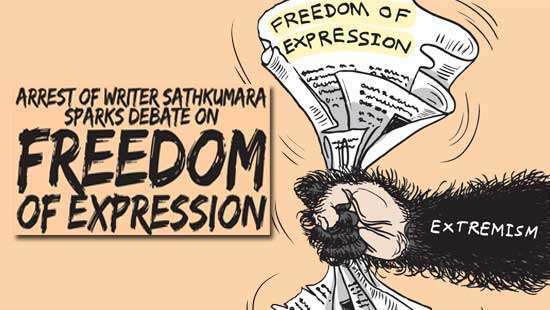 For now what is interpreted and played around is what media picked from President Sirisena’s pre-recorded Sinhala statement aired on TV channels. A carefully written Sinhala statement that tried to position him as a decent, non partisan national leader, yet tactfully noting PM Wickremesinghe’s responsibility and former Finance Minister Karunanayake’s complicity. Interpretations in urban society on what was thus revealed are of two minds. Some applauded and appreciated the work of the PCoI and the stand taken by President Sirisena against corruption. Some agreed with sarcasm throwing a jibe or two at President Sirisena. Those were few “pundits” who landed on the post January “anti Rajapaksa” dinning table and are comfortable with Wickremesinghe’s hectic liberalising of the economy. It then added,”The President’s website carried the first translation and later swapped it with the new version which was once again amended bringing back references to Ravi Karunanayake but without including Wickremesinghe’s name”. 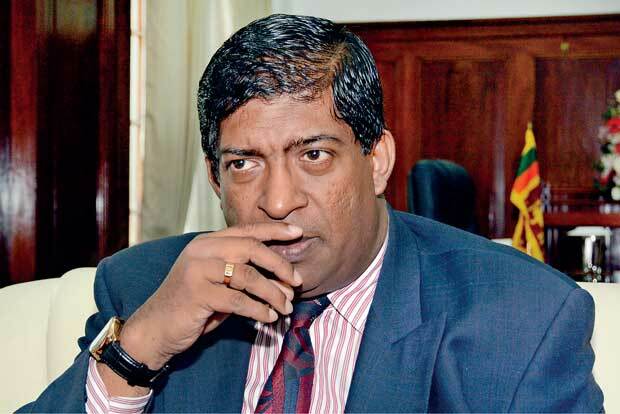 The next day, Minister Faizer Musthapha in a media intervention took pains in clearing PM Wickremesinghe of any wrong doing. Appointment of Arjuna Mahendran as Governor CB was thus the cementing of that political deal. The Bond scam is not just about the UNP and its elite leadership. 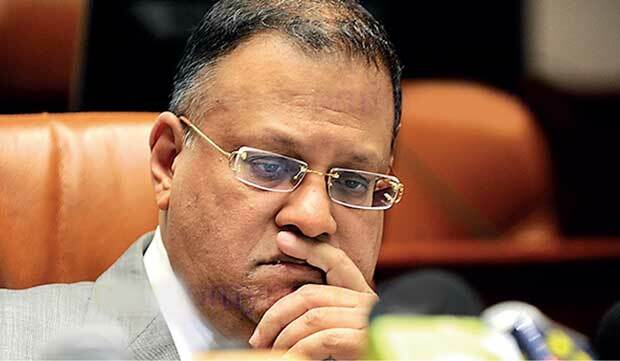 The lame excuse that President Sirisena opposed the appointment of Arjuna Mahendran as Governor CB has no validity after he appointed Mahendran as Governor. Appointing Mahendran was more or less a political deal with PM Wickremesinghe to have a government the accepted and accommodated him. It is for that single reason he had Leader of the UNP and then leader of the Opposition Ranil Wickremesinghe, sworn in as PM an hour after he was sworn in as President on January \09, 2015. After the presidential election, D.M. Jayaratne should have constitutionally continued as PM with no change of government. Wickremesinghe was not qualified to be sworn in as PM with only 47 MPs. The Constitution requires the President ensure he appoints as PM one who commands a majority in parliament which means a minimum of 113 MPs. The SLFP/UPFA government that was, would not have accommodated President Sirisena for betraying them. He therefore fished out the most rustic in the Rajapaksa government to provide the majority for Wickremesinghe’s UNP led government. Appointment of Arjuna Mahendran as Governor CB was thus the cementing of that political deal. President Sirisena cannot pretend he is innocent thereafter. With this unprincipled coalition in government during the past 03 years, this single Bond scam is not just the “one and only”. There is yet another in April 2016. There is also the unoccupied multi storey building leased for the Agriculture Ministry at 21 million rupees per month on a Cabinet paper by the PM. There are more by many high profile UNP Ministers that should be investigated. They are all about political deals no less corrupt than the Rajapaksas.The Russian warship deal and the Spectrum deal are two stinking deals that hold President Sirisena responsible. A warship was no priority when the Navy had 02 brand new warships provided by China and India.Yet President Sirisena’s Cabinet paper as Defence Minister to purchase this Russian warship on a re-negotiated Russian credit line that had lapsed was approved by the Cabinet including the PM. The Spectrum deal, the sale of a frequency bundle was no different. Frequencies are “public property”. They can only be rented or leased for short terms, through public bidding. Why the UNP is mum on this deal said to be worth over Rs.03 billion and comes directly under the President, is also due to their political compromises to be in power. These sordid deals don’t get washed clean if Bond scams under Rajapaksa from 2008 are investigated as demanded by PM. That would only say, “Rajapaksas were also corrupt like us”. End of the day “free market economies” don’t allow Commission Reports to topple their apple cart however accurate and complete the investigations could be. In free market economies, State Departments are not left “independent”. Run through this short, selected list for proof. AG who was summoned to parliament by the Speaker ruled that all hurried Amendments to the LG Elections Act at the third reading need only a 2/3 majority. According to the PM’s statement on the present Bond Scam Report, the AG had been provided with the COPE Report one year ago. He is now given the Bond Scam Report by the President. Will he proceed on it as required? Let’s keep counting days this 2018 too. Corrupt State officials even use political pressure to avoid themselves being investigated into. They did say it with a veiled threat to President Sirisena at the very outset. Bureaucrats have and they create big enough gaps to wriggle through in this very corrupt system. The prosecuting agency filed charges against top administrators Weeratunge, former Secretary to the President and TRC Chairman Pelpola, under Section 386 of the Penal Code avoiding the Public Property Act for misappropriation or misusing of public funds. Under the Public Property Act, misuse of public money is a non-bailable offence, but not under the Penal Code. The two were out on bail all through their case. State prosecuting agencies can opt to prosecute partners of the “filthy rich” with minimum or no damage, if they so wish. There was speculation that Gotabhaya Rajapaksa, former Secretary to Ministry of Defence, would be arrested on misappropriation of public funds. The corrupt have many social allies in free market economies. Buddhist monks met with President Sirisena to request he should not be arrested. The Appeal Court allowed his anticipatory bail application and prevents the FCID from taking any legal action against him. The temporary stay order was extended for the third time on 15 December. That perhaps is an independent judiciary in a free market economy. Yet, forty years with a free market economy, the urban middle class think corruption can be wiped clean. They don’t understand the role of the State has completely changed. The State is no more the regulator and monitor of economic activities. In a free market economy, the State is turned into a facilitator, promoter and also into a custodian of private investment. 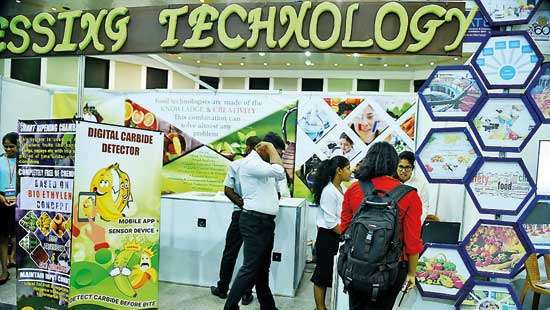 In Sri Lanka,investment as in all “developing” countries is about uncultured, high flying dealers. The top bureaucracy thus sits with governments (politicians) to formulate policy and draft legislation that can encourage, promote, facilitate and safeguard shady investments with as much incentives as possible. With the State re-positioned as facilitator, promoter and custodian of the new “filthy rich”, the theoretical definitions of the “State” and the “Government” are no more valid. They are now seen as one and the same. It means, it is not only politicians who are in tow with the politically powerful new rich. The State at policy and decision making level including of course, investigators, prosecutors and judicial officials are also tied to the powerful new rich. 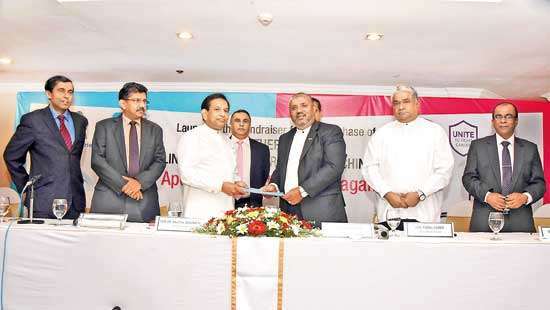 It is therefore amending few laws and punishing a culprit or two that is now demanded as serious remedies by anti corruption groups in Colombo, including the JVP. In short, in a free market economy that allows free growth of a new “filthy rich”, corruption becomes inherent at every level of governance and across State and Society too. That in turn creates a new urban lifestyle on heavy consumption. The urban middle class that plays the “big consumer” is allowed unquestioned economic space to chase after a luxury life. Such “freedom” does not allow the urban middle class a need to think in terms of a cleaner, more cultured and amall inclusive national “development model”. That discussion instead is substituted with talks on “Reforms” to clean up the “mess”. Reforms that would not upset the ‘status quo’ of their “expensive living”. Parliamentary debates on the Bond scam report will only be verbal duels and the call for indictment of the culprits, will be nothing more than what the old Sinhala idiom “asking the rogue’s mother to read the fate” (fydrdf. wïuf.ka fmak wykjd) plainly say. Bond Scam Commissions, PRECIFACs, FCIDs and the rest are all about moving with “Laundromats” with different brand names. What we need is a paradigm shift that can provide a new and an alternate system “to keep the house permanently clean” without continuous visits to different “Laundromats” expecting better washing and drying. The discourse for a new development model with better systems needs to be kick started, before this society falls apart.